So, you have decided you no longer want to be taking HRT. Maybe you experienced some side effects, or have decided you don’t want to have the added potential risks of heart disease, cancer or dementia. Some women go cold turkey and experience a strong return of their peri-menopause symptoms, which sometimes makes them go back on to the HRT again . It is always advisable to stop any medication that one has been taking very slowly and with the help of your medical doctor. I do not in any way recommend you stopping suddenly. But it is really important to get some help with this transition. As soon as you have decided you want to stop HRT, we would start homeopathic treatment. This would give the homeopathic remedies time to start working and begin rebalancing your hormones so you do not experience a sudden change once the medication is stopped. I would be looking at treating your mental emotional health and your physical health at the same time using different remedies. 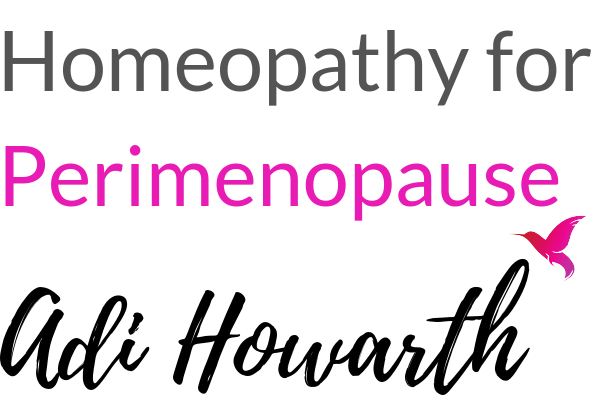 With homeopathic remedies we would also be able to strengthen and support your liver, kidneys and adrenals which are so important during peri-menopause. Our adrenals mainly, take over the function of producing oestrogen during peri-menopause and may need some help if we are a bit depleted in this area. Another possibility, if your hormones have still not returned to balance would be to look at detoxing the HRT itself which might be interfering with the natural functioning of your system. Treatment time is different for each women, and will depend on how complex your case is. I usually suggest at least 4 appointments to fully assess things, although I would expect you start feeling improvements quite soon after taking the remedies. Book your free 15 minute appointment with me now to find out how homeopathy can completely transform your health and help you with coming off HRT.